We are the leading manufacturers and suppliers of the Table Top Refrigerator With Sink. We offer stainless Steel Kitchen Equipment such as, Vertical Refrigerators, Pot Racks, Idli Steamer, Dosa Plates, Tilting Pan and Sink Units, which are used for commercial as well as domestic purposes. Manufacturer and Exporter of Commercial Kitchen Equipments, Canteen Kitchen Equipment, Restaurant Kitchen Equipment and Stainless Steel Kitchen Equipment for Hotels, Restaurants & Industrial Canteen. 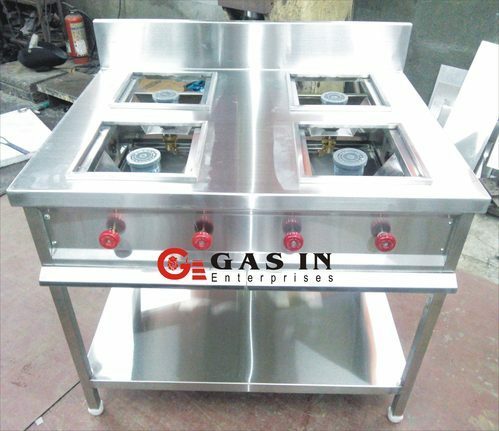 As an established firm, Our kitchen equipment include Three Burner Gas System, Tilting Pan, Four Door Vertical Refrigerator, Pantry Counters, Four Burner Gas System, Idli Steamer, 3 Sink Unit and Pot Rack. These are appreciated for their features such as application specific design and robust construction. Our equipment is widely demanded in hotels and bakeries.